How is everyone today? Hope you’ve all had a chance to get your menu plans completed for this week. My “simplified” menu plan worked beautifully last week for us and so I’m going to keep it up. Nothing too heavy, lean on the meats, big on flavor, healthy and quick to prepare. I’m spending a little more time looking for recipes than I normally do but hopefully once I build up my recipe stockpile using this criteria things will speed up a bit. Monday: Dinner at a friend’s house, sweet! That pepperoni pie looks like something my mom use to make, but she called it something different. Yours looks delicious! I think I’m stuck on #13! I have been in that slot for 3 weeks now. The Cinnamon French Toast sounds yummy! Thanks so much for hosting! Your pepperoni pie looks great! I am so glad you liked it. I also make a crustless version so that it is gluten free, and it works well. Your menu plan for the week looks great. Thanks for sharing the recipe Lynn! yum! That Pepperoni Pie looks awesome! I completely missed my menu planning last week due to travel for work and then the attack of the stomach flu. This week I’m really happy to have a guide because without one last week I survived but noticed the difference in my general stress level. I love the idea of simplified menu planning and thanks for sharing those recipes. I know my family would like the pepperoni pie. You are so welcome Julie, thanks for visiting! That French toast looks great! I used Carnation Skim milk and light cheese to lighten it up. Worked great! Oh I love the look of that Basil Tortellini soup!! I’ll have to keep that in mind for lunch during the week if I can find some ready made tortellini on sale. I am trying to be more diligent in my menu planning/scratch cooking. Wish me luck! I have very simple menu this week. Only a couple of links. Got to do these things when DH is away and I am flying solo. The Teriyaki salmon in foil looks like a winner! I’ll have to try that one out next week! Wow, I can’t wait to check all these out! The community you bring together here is fantastic, Laura. Keep up the great work! @ Debbie ^^ – I agree! Loving the looks of that pie! And I hope you enjoy the Maple Rosemary Chicken. We had it again this weekend!!! Okay, so the fench toast is a recipe I will have to try next week, This week we are focusing on soaked grain brakfasts as part of our personal no-cereal-for-breakfast challenge. Hey! Thanks for the great linky and menus again! I need some yogurt and pita bread recipes and tips from anyone tht makes them! Also have a giveaway ending tonight and three more! Hope my menu friends will enter! My first week menu planning. I’m so excited! Woohoo! The pie looks incredible. I will have to add it to our line up when I return from vacation. This week our menu is driven by the need to eat all of the perishables before we go! That pepperoni pizza pie looks delicious! My kids would go for that! Gonna be a day late this week with my menu as I been knee deep in wedding plans! My daughter is getting married today! We spent the weekend making her wedding cake – three tiers with fondant icing! My first time with fondant. Will share photos later as we documented the entire endeavor! Yum—that pepperoni pie is making my tummy grumble for lunch! I read you post about seasons of life yesterday – beautiful and so true. We can’t plan every moment and sometimes we simply must be in the moment, even the trying ones. Blessings to you and I LOVE that your kids got so excited about planning their time/schedules! Such an important life lesson to learn! oops…here is the link to the giveaway!! I’m not new to menu planning – but this is my first time to post and link up a meal plan! I love your site and hope I can get motivated to become a more consistent meal planner! I made the Basil Tortellini Soup too, and as much as we love soups around here, we found it to be just “okay”. I made it on Friday, and since we observe Lent, made it with Vegetable Broth instead. Maybe that was the problem? Love many of your meal ideas though! 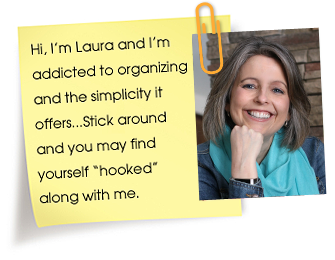 I’ve gotten many new recipes and website favorites from you, Laura. Thanks! I’m working on my menu today. I know I’m cooking something with shrimp tonight and sausage soup tomorrow. I hope to get two weeks planned today as I’m bad at this but better when all meals are planned. I worked on cleaning my computer area more last night. It’s still needs some tweaking to make it better. I’m staying home today and getting caught up on stuff. I’m behind and just need it today!!! Thanks for your inspiration!! Thank you for the encouragement to do a weekly menu. I have really enjoyed the hunt for deals and my family loves knowing what is for dinner. They have even stopped asking me over and over and over! 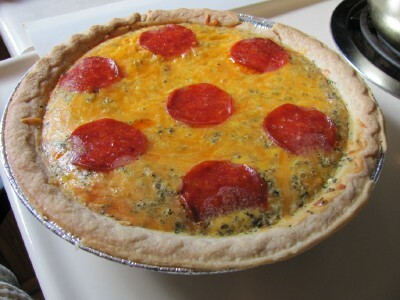 Wow–I know it’s been said before, but that pepperoni pizza pie looks wonderful!! Maybe we’ll give it a spin. Better late than never getting my menu planned. Spring allergies stink but I sure am glad I’m still able to pull meals from the freezer to just heat up and serve! The Pepperoni Pizza Pie looks very tempting! I love your Menu Plan Monday as it helps the readers plan theirs as well.